A 26-year-old Indian mother of a six-year-old school girl was found dead in her apartment in Al Ain Town Centre. 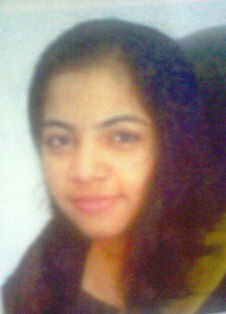 Meera Pillai, from Vadavathoor in Kerala state’s Kottayam district, was found dead in her room, locked from inside, on Tuesday evening. It is suspected that Meera committed suicide, after sending her brother Midhun Mohanan and her six year-old daughter Pavithra to buy groceries. This is the fourth suicide by an Indian citizen to be reported in the UAE in May. According to social workers in Al Ain, the divorced young woman worked as an administration assistant in a private company and was living with her brother, Midhun Mohanan, an employee of an Al Ain-based company. “Meera’s brother was to go home after cancelling his visa. She had sent him and her daughter to the grocery and was alone at home. When they returned, the door was not opened, even though they repeatedly knocked and finally the police was called to break into the house. She was found dead in the room,” sources said. Last week, an Indian mason was suspected to have committed suicide by hanging himself from a signage board on top of a building. Meanwhile, various Indian community associations are organising seminars and discussions on the tendency among distressed people to end their lives. Sevanam, one of the largest Indian community associations in the UAE with about 12,000 members, is organising a seminar and discussion on various aspects of suicide. Association members were shocked when the secretary of their Sharjah unit (3,000 members) committed suicide recently. The organisation is starting a year-long campaign to educate members and to extend them the community’s helping hand. “After we published the news of a seminar to address the problem of stress and suicide, many desperate people called me seeking a way out of their difficult situation. Many of the callers are low income workers, who have taken huge loans and are in a debt trap. One of the callers had seen two suicides and is desperately seeking help to continue to live,” said Manoharan Vathisseril, coordinator of Sevanam’s ‘Safe Your Life, Save Your Family’ campaign. “We are organising a conference and interactive session with our members and officials of Indian associations to address the problem of suicide. Some desperate people who attempted suicides are seeking help, financial and moral, and we will give them a platform to express their problems,” Manoharan said. Sevanam has roped in the Indian Media Forum, an association of Indian journalists, to spread the message of ‘Save Your Life, Save Your Family’ campaign, he added. Among the participants of the campaign are Dubai-based psychologist Dr George Kaliadan, who has practiced as a consultant at Pennsylvania University and Indian Institute of Technology, C P Mathew, a social worker from the Valley of Love, Nissar Sayyed, community worker and journalist, Advocate Hashik and Advocate Majeed, the Indian Media Forum President Vijayamohanan N and Vice President V M Sathish, Sevanam President P G Rajendran and Secretary K Reji and Ismail Rawther, director of NORKA Roots, a government of Kerala body. The event will take place at Gulf Model School, Ghusais, Dubai on Friday May 18 evening. Youth India, another community organisation, has been organising campaigns to stop suicides by convening conferences and talks in different emirates. Seventeen Indian associations in the northern emirates have already started a campaign to prevent suicides and other community organisations are conducting campaigns in their own way. Indian newspapers like Malayala Manorama, Gulf Madhyamam, Siraj Daily and others have also run special campaigns against the suicidal tendency in the South Indian community in the UAE. Yes many people are committing suicide in the Gulf but has any one analyzed why this is happening? Most of you guys pose for pictures wearing flashy gold and clothes in spite of you knowing that you are working in the gulf for a pittance. When you are back in India for a holiday you paint a rosy picture of your adventures in gulf only to shine and impress the innocent locals. Looking at you guys these simpletons sell of their land / gold and take huge loans to come and explore their luck in gulf and when they realize the truth they have no options left but to commit suicide. Now you know who is responsible for their deaths.